Selling a car is a perplexing chore and it is particularly troublesome when it comes to selling a vehicle that is dilapidated. For some people there is no perfect time to sell a car. While most of the people are not aware of the fact that at present times’ getting a rid of a scarp or old vehicle has become a lot easier. Fortunately, there are professional and well-skilled cash for car companies like Wreck Monster that provides pleasing ways of selling used automobiles within a day. In fact, if you contact us today, it would take just 15-20 minutes to have your vehicle removed for free. Our experienced auto removal specialist will reach your premises, inspect the vehicle and take it away after handing over a set amount of cash in hand. For more details, check out my previous post – how does cash for car removal work at Wreck Monster. Basically, Scrap vehicle removal companies work as the most easy and convenient option for getting rid of a junk automobile. They have friendly and well-trained customer care executives who are always ready to help clients. So, you don’t even need to leave your premises and they can take away your automobile instantly without causing any trouble. But before you get in touch with any auto removal outfit, you may be keen to know how cash for car companies work in Sydney? And, how to garb the best cash offer for your scrap vehicle? Require ownership documents and owners ID proof for effective sale process. However, you will have to do some research to choose most reputable Car Removal Company and obtain the best cash offer. Choosing a company with a good name and professionalism will help you to grab a decent offer for your junk automobile. All you need to do is call them up or fill out their online quote form. The moment you will get in touch with them, your automobile is somewhat sold. Their assessors will offer you a fair quote to approve or reject and if you approve it, they will come to inspect your auto and remove it as soon as you sign the paperwork and get the guaranteed cash. What comprises a dependable junk car removal company? A good auto removal company will follow legitimate guidelines and present all the essential business information like their valid contact number and physical address. They should also disclose all the details about their services and policies. Also, make sure that you get free of cost removal services along with quick cash in hand. Choose a vehicle removal company that is designed to offer ultimate convenience in terms of their cash for car services. They should be able to provide you a quick cash assessment as soon as you provide them your vehicle details. Most of the popular car removal companies take care to arrange all the paperwork. We don’t charge any extra fees in return. When you get offers from three or four companies. You must ensure to select an outfit that offers 100% reliable services. The cash quote should be accurate, depend on the actual size, weight and condition of your automobile. Furthermore, the company should pay a generous cash. Regardless of whether your automobile has a good running engine, a non-running engine or no engine at all. If you are looking for the best scrap car removal company in Sydney. Feel free to get in touch as quickly as possible. We are a well-established, licensed and insured company that accepts all kinds of automobiles and provide competitive cash rates. This is valid for automobiles from all manufacturers including Japanese, Korean, European, Holden and American. Just free phone us at: – 0478 682 103 or complete the quote form placed on our website’s main page. Our customer care executive will be happy to help you. Where to contact to get the fast scrap car removal in Sydney? When you are looking for a simple and fast approach to sell your scrap or junk car in Sydney. You will probably need speedy and bother-free services offered by the professionals here at Wreck Monster. We are the premier car removal experts who deal in all types of obsolete automobiles and offer top cash in hand. Basically, we strive to propose all the important and outstanding services that’s vital to deliberate before hiring a junk car removal company. Do we have the best place to sell your car? Just give us a call on – 0478 682 103 and request an obligation free quote. Alternatively, you can also complete the appraisal form. We have given on our website’s main page. Our representative will ask you a few details about the vehicle in question and provide you an accurate assessment for your automobile. If you are happy and satisfied with the provided cash quote, we will fix an appointment with you for the same day or a future date, depending on your convenience. You will just need to provide us the date and time convenient for you. And, we will send our representatives to collect your vehicle for free and hand over on the spot cash for your automobile. In addition to this, our experts also take care of all other substantial works like paperwork. How does estimation the best car valuation? Our vehicle assessment specialists are highly experienced. They always try and provide generous cash assessments for all kinds of vehicles. They assess vehicles on the basis of quantity of useful steel and metal components in it. Our skills to recognize the damage on any particular make and model is great and it helps us to undoubtedly estimate a precise value of the automobile. In case the vehicle in question is scrap, junk or written-off, we make sure to estimate its price with respect to the its recyclable value. Basically, our expert and skilled crew are able to reuse 100% of unwanted vehicles and provide awesome quantity of cash to our clients. It doesn’t matter where you live in Syndey. We can come to you anywhere in NSW and take away your automobile for nothing. However, just make sure to verify your location so our auto removal experts can remove your vehicle without any troubles. You don’t even have to pay anything for our removal service and this is the cherry on the top. More than this, we don’t oblige you to prepare any paperwork for the vehicle or transport it to our location on your own. As our experts will handle it all for you. Often our customers ask us whether we have a blacklist for some particular make, models or conditions that we don’t buy. You will be pleased to learn that we generally deal in all types of cars including old, junk, accidental, damaged or even brand-new vehicles. You can sell us any vehicle that you don’t want to use anymore because of various reasons. We provide quick, smooth and convenient car removal services that are usually performed within 24 hours of a day. The experienced staff at Wreck Monster consider the customer’s satisfaction as their top priority. So they never charge a single penny for towing away unwanted automobiles. We buy and remove automobiles of all ages, model, make and condition from any suburb of Sydney. You can give us a ring at any time. We will provide you an instant cash quote that is paid at the moment time we remove your vehicle. 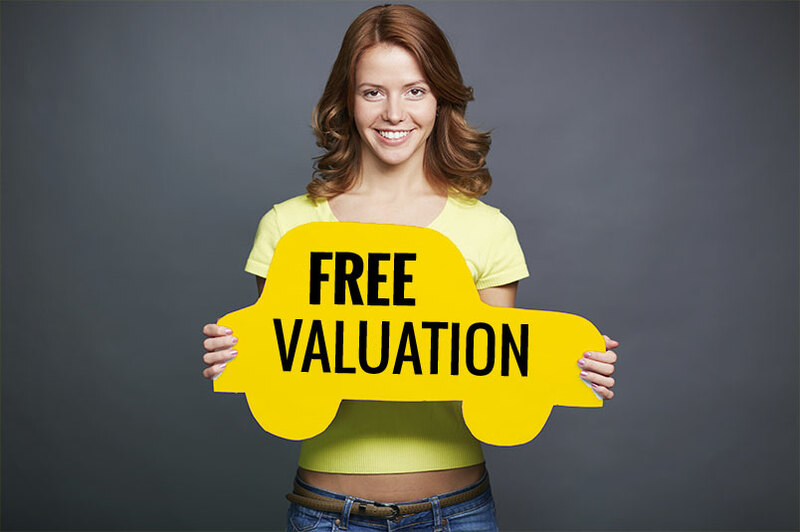 Where to get the free car valuation in Sydney? In this age and days, it is easy to have an assessment of your vehicle’s worth. As the internet is flooded with a lot of tools that can assist you to determine the right price of your car while selling it. The online valuation tools usually assess automobiles on the basis of various aspects like make, model, kilometres travelled and year of manufacturing. It also takes into consideration the normal wear and tear of your machine. The very first step is to determine the market price of your automobile. This can be done with a phone call, online research or by taking the vehicle itself for an assessment on the spot. There are also companies popular as cash for cars who give obligation free quotes. They perform on the spot assessments based on the make, model, year and current condition of the vehicle. They will take into account any major wear and tear or damaged caused due to an accident. Also, remember that it is the responsibility of the purchasers to share all the problems like any remaining finance. They don’t accept vehicles with finance and will not pay its price uncles it is finance free. Neither do they accept stolen automobiles. Used Car buyers – If you have an automobile with less mechanical issues, you can give a call to the auto dealer in your region and obtain a free quote. Online websites – If you have a roadworthy and registered automobile, check the price of your automobile by using a private sale website. Cash for car outfits – If you want a fast sale of your vehicle then it is best to search a reliable cash for Car Company in your region and get a free quote. These people offer free of charge and convenient removal services as well. Auto Wreckers – If your automobile is a complete scrap, junk, used or damaged, then you would be well advised to sell it to auto wreckers and dismantling companies. Auto Salvage Yards – This is another place is to sell your scrap vehicle if it is junk. They take in any kind of vehicles like car, van, truck, 4WD, SUV or Utes. Auction houses – It is a good option, but of course not appropriate for people who don’t have much time. As you will need to prepare some mandatory documents and wait until the auction goes successfully. Additionally, tell about the good aspects about your automobile including tow bars, dual fuel or bull bars. Also mention if the kilometres travelled by your car are less than the average. Most often the value of your vehicle may depend on the place where you sell it to. Some of the car dealers offer an option of trading in your car with another one for a particular amount. It is a good to have a rough idea about the price you want to get in the vehicle and get ready to bargain for your price. Dealers or junk yard dealers generally leave some room for bargaining. Many times they may also ask you about the price you want and you can even increase the price for bargaining purposes. Always wait until an auto dealer or buyer agree to a specific price that you want to get for your automobile. Make sure to use your best communication skills and stay firm on it. If the buyers don’t agree to the price you want, make to check the best value you can get for your automobile. Once you get a satisfactory deal, get ready to organize the paperwork. Ensure to make a proper receipt for the sale of your automobile, also mentioned the sale price of the vehicle in it. Also, remember to mention the LMCT license, Logo and ABN number of the company you are selling your vehicle to.